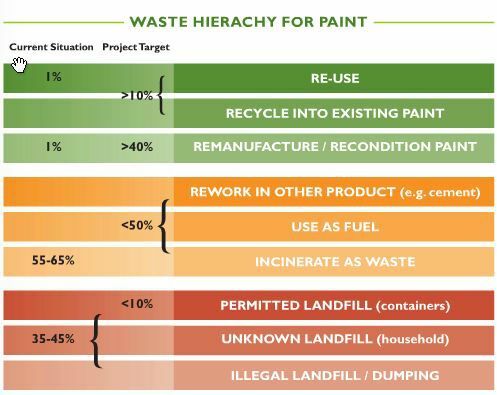 Liquid paint has been banned from landfill for several years. However, in many parts of the country it is still recommended to solidify and landfill perfectly good paint which could be reused or remanufactured. 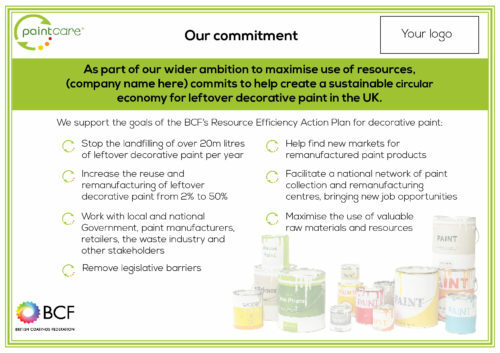 By creating a national solution to reuse and remanufacture paint, we will make better use of decorative paint that householders no longer want. The graphic to the right provides a snapshot of our project targets. To access our full action plan click here. Is your organisation committed to our ambitions? Email tania.morrill@bcf.co.uk to sign-up for the PaintCare voluntary commitment and be recognised on the ‘our partners’ page of our website. You’ll also receive a PaintCare voluntary commitment certificate, be promoted in our marketing materials as a PaintCare partner and be granted use of our PaintCare partner logo.